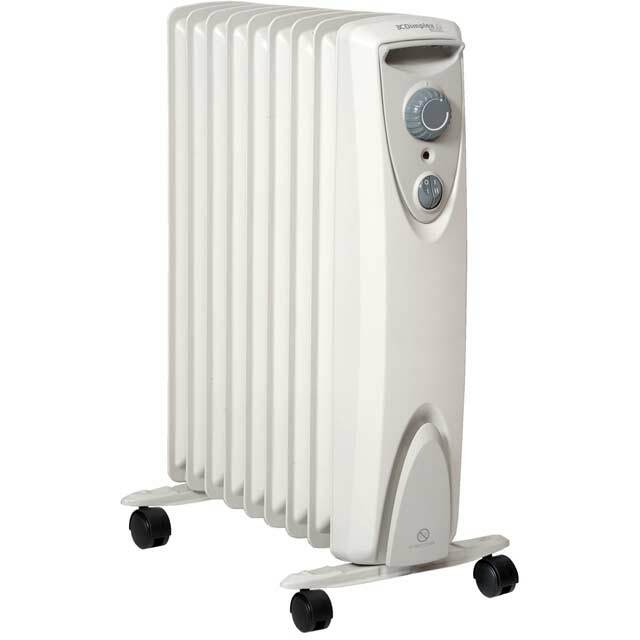 Heat up any room with this great oil free radiator from Dimplex. Thanks to its impressive 2000 Watt power output it’ll warm even larger spaces in no time, and with a choice of 2 heat settings, it’s easy to find the ideal climate. Because this model has frost protection, you can set it to switch on if the temperature falls below 5ºC, while overheating protection means it’ll automatically shut off if it’s at risk from over-heating. This radiator has wheels as well, so you’ll have no trouble moving it from one room to another. The item was so easy to install. Looks nice and will be suitable for my purpose. Purchased mainly as a frost protection appliance for my static caravan. The oil free radiator is just what I wanted. Easy to move about and warms up the lounge wonderfully. Very pleased with this purchase. Lightweight and effective for a large bedroom. However, for anything larger, such as a through lounge, you'd be better off with a larger heater.